Here’s an open secret for AV integrators: Attracting and retaining successful employees is challenging. So in late 2015, when Brian van der Hagen heard the clarion call from AVI Systems CEO Jeff Stoebner, he answered it. Van der Hagen previously had served as AVI Systems technical services manager before leaving to work in sales for various organizations within the AV industry. When he returned to the fold, it was at Stoebner’s request that he help to find solutions to lower the company’s high employee turnover rate and to teach employees new methods for selling successfully. 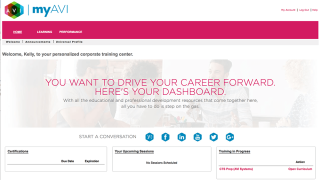 As a result, in January, AVI Systems launched myAVI, a personalized learning management dashboard, a live portal where employees can access educational resources online and in person. To that end, van der Hagen and his team of two others created a talent management system and a performance module for job performance reviews and measurement, and for succession planning, prepping for the next wave of leadership by elevating employees to the next levels of their careers. Together with Stoebner and involvement from the HR team, modules and platforms were designed to facilitate the ideal learning environment. The AVI Systems physical buildout includes a brick and mortar expansion with a learning center at its Eden Prairie headquarters. The 20,000-square-foot expansion is slated to open at the end of May. The myAVI dashboard project started out by looking internally, he said, focused on that internal culture to assess what would be most successful, and what employees were asking for, which was more access to higher levels of learning and measuring, and accountability and visibility. Imparting AVI-isms (the company’s best practices) is another important element in the overall program. “These include knowing how we do sales training within the company, how we go to market, and gaining industry-specific knowledge at the Infocomm and AQAV levels,” van der Hagen said. The company’s related sales program training is an instructor led and online presentation that starts out with three days of classroom training and then continues for 12 weeks of extended online sales curriculum. Employees participate in two sessions within their first year of employment. To kick off myAVI learning, AVI has committed to a three-year contract with InfoComm to license all CTS, CTS-I, and CTS-D prep courses. In addition, non-CTS InfoComm courses (Quick Start to the AV Industry Online, Essentials of AV Technology, and AV Math Online) will also be available.